A quality encasement can be used in a proactive manner before a bed bug infestation ever begins. 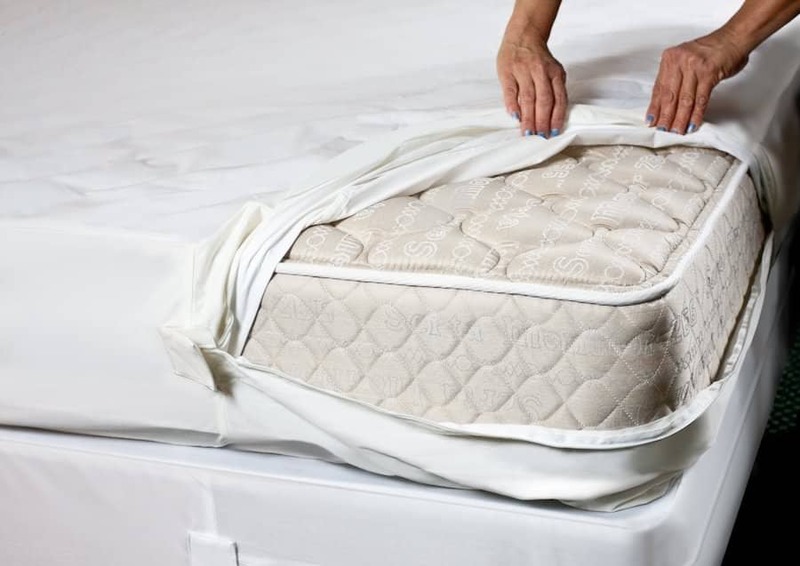 Encasement of mattresses and box springs will greatly aid in the early detection of bed bugs and can prevent the infestation of beds in the event that bed bugs are introduced into the residence. Once the mattress encasements are installed properly, bed bugs are unable to get inside of the encased mattresses and box springs. With their movement restricted to the outer surface of the encasement, they are exposed and can be readily detected during a visual inspection. In addition, while they may be able to rest on the outer surface of the encasement they are unable to infest the interior of the mattress or the box spring. Quality encasements also play an important role in helping to eliminate bed bug infestations. The majority of bed bugs are typically associated with the mattresses and box springs. Encasements are a very simple and highly effective method for dealing with the bed bugs that are associated with beds by trapping the bugs inside and preventing migrating bugs from re-infesting the mattresses and box springs. The use of encasements also increases the efficiency and effectiveness of the follow up visit. Follow up visits simply involve inspection of the smooth surface of the encasements rather than having to carefully examine the wooden framework, coils, and padding associated with the mattress and box spring. The encasements are strongly recommended to be installed on your beds. At Michigan Bed Bug Specialists, LLC we do provide very affordable and quality encasements for our customers. Michigan Bed Bug Specialists offer the most advanced pest control products and service programs available for both residential and commercial extermination in Michigan. MBBS is committed to honest and effective business practices that has produced a healthy, growing, locally-owned business that customers depend on and trust. We attribute our company’s success to the hard working, high caliber individuals at MBBS.